A leading North East training provider has created several new courses in its bid to continue to offer young people the highest quality training qualifications and learning experience. Baltic Training, the only apprenticeship training provider to offer a completely tech-focused, tech driven training solution, has set up five new programmes suited to specific roles employers are recruiting for within the digital sector. 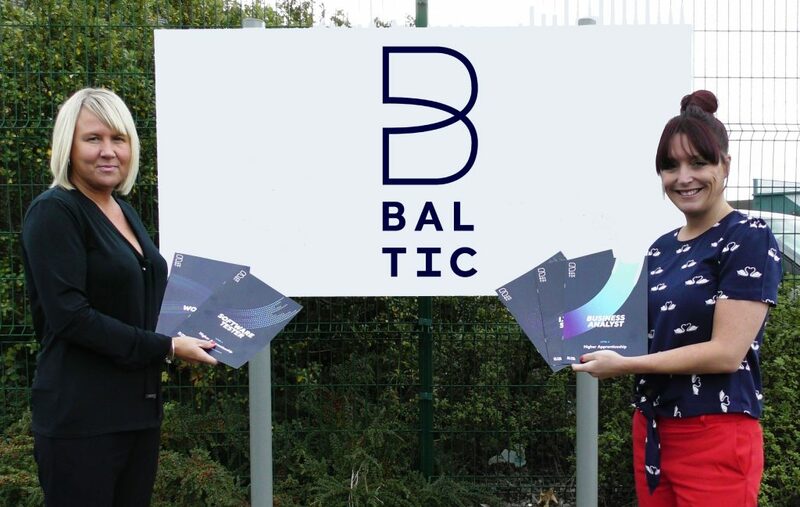 Following the introduction of last year’s New Apprenticeship Standards, as well as feedback from its new and existing customers, Baltic has developed Software Tester, Business Analyst, Data Analyst, IT Technical Salesperson and Digital Marketer courses, to ensure its apprentices remain at the forefront of the ever-growing UK digital tech industry. Speaking about the courses, Sales Operations Director, Laura Jackson, said: “Tech City UK’s recent Tech Nation 2017 report highlighted the ongoing growth of the UK’s Digital Tech Economy. With the sector now employing more than 1.64m people nationwide and contributing £170bn in turnover to the economy, we have decided to create industry specific programmes for our trainees. Founded in 2006, Baltic works with over 1,500 employers across the UK, helping them to secure their training needs and equip the workforces with the skills needed to support growth and remain competitive in global markets. With the shortage of skills in the IT sector, where there are in excess of 700,000 jobs available and tens of thousands of new recruits required annually to plug the gaps, the Company has already helped more than 3,600 young people pursue careers in the technology and digital industries and in 2013, was the only North East company in the Virgin Fast Track 100 list. Laura continued: “At Baltic Training, we’re dedicated to making sure all apprentices have the very best training on their apprenticeship. Our success rate speaks for itself, with 95% of our apprentices being employed upon completion of their programme and 49% of those receiving promotions within the first 12 months.